To install Mixmax, visit mixmax.com and click Install for free. Then click Add extension to download and install the Mixmax Chrome extension. 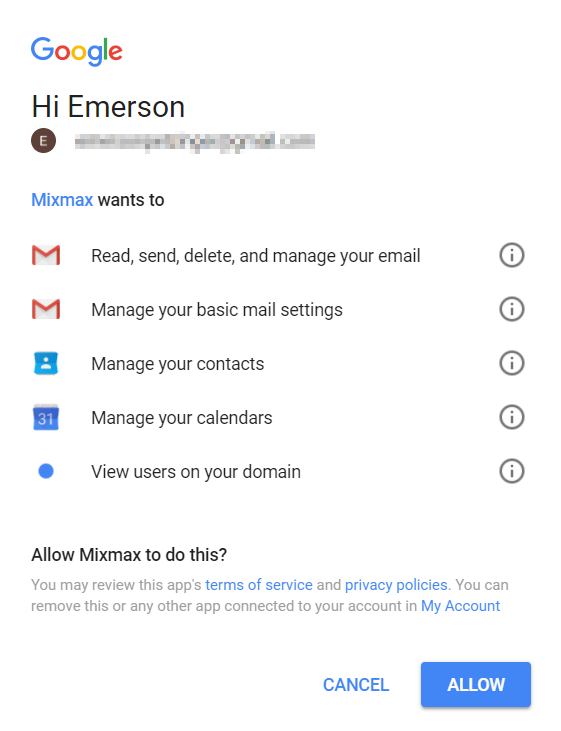 When you open Gmail, you'll be prompted to connect your Gmail account with your Mixmax account. Click Activate Mixmax. Mixmax needs your permission to work with your email, so we can provide you with productivity-boosting features like email tracking, reminders, send later, and sequences. Click Allow and you are ready to get started!